Just a few of the historical costume movie and TV appearances that make her fabulous! 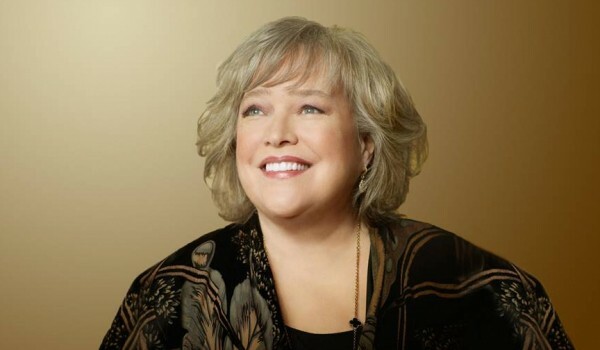 What’s your favorite historical role of Kathy Bates? What one did we miss? 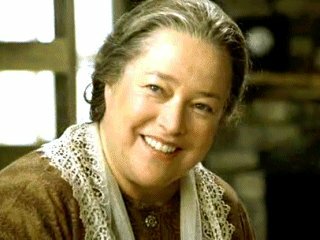 Kathy Bates is great! 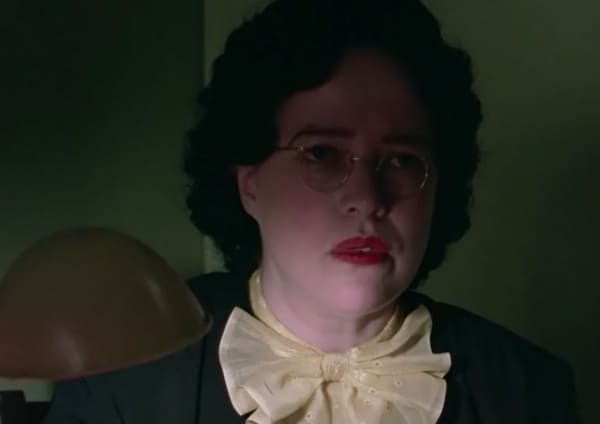 I also love her in the 1999 version of Annie! 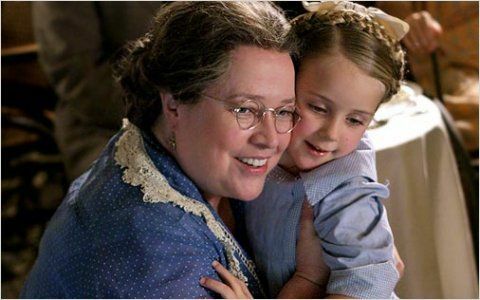 I loved her in “Titanic”. 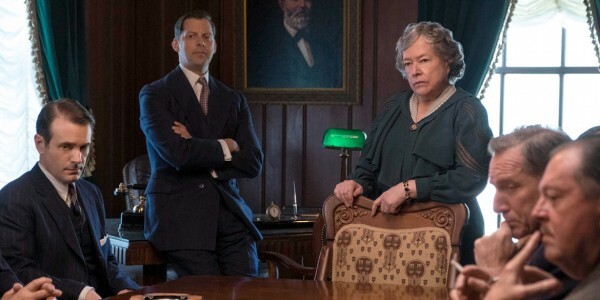 And I was impressed by her in “American Horror Story”. 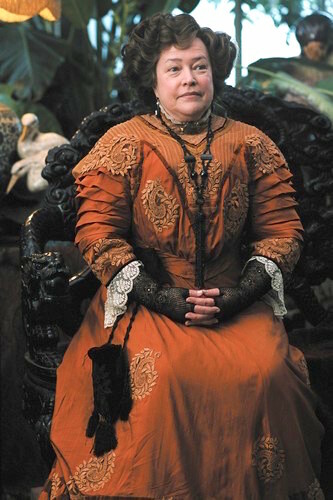 Also, she had portrayed Queen Victoria in 2004’s “Around the World in 80 Days”. 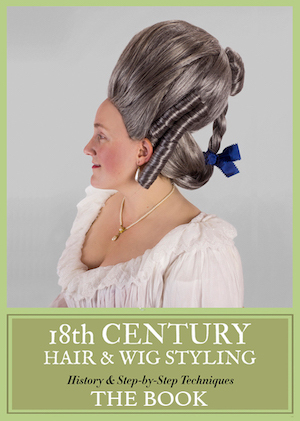 I realize the movie wasn’t much, but it is a period film. And she was Gertrude Stein in Midnight in Paris! Yes, yes she was! Another great role. Has she been terrible in anything she’s done??? 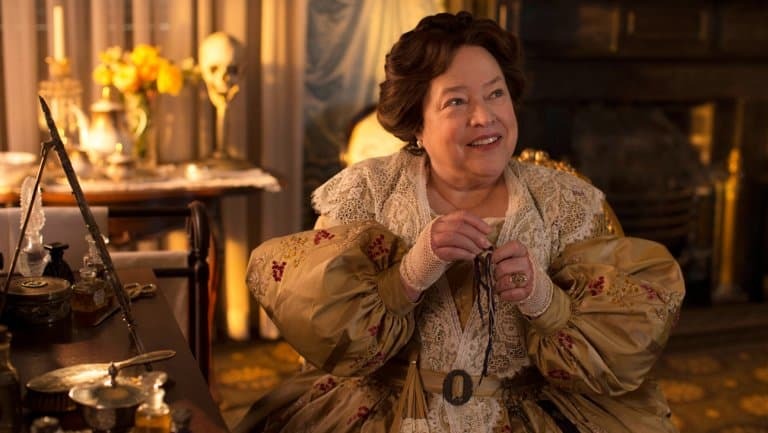 The one thing that kinda pissed me off about her costuming in American Horror Story is that at one point you can clearly see she’s wearing white high heels under her otherwise pretty well done 1830s look. 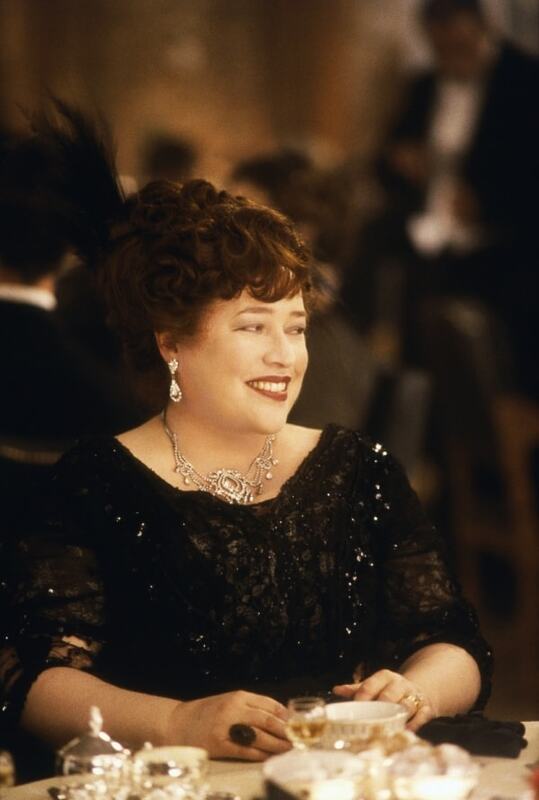 I felt that her Molly Browne in Titanic was one of her best roles. She dressed well and beautifully. She captured the nonconformist Molly, or at least, the Molly who played Polite Society’s rules and knew where to ignore them. And she didn’t care a bit what the New York doyennes thought. The other is Cheri. I loved her snarkiness in her conversations with Michelle Pfeiffer and of course the frocks were gorgeous. 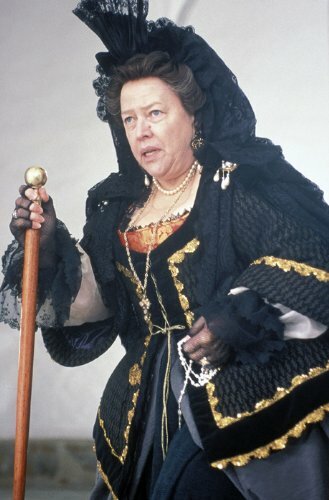 Have you noticed that the older she gets, the more she looks like the Queen? I wonder when some casting director will realise it. It’s a little off the usual historic map, but I love her as Ruth Whitefeather Feldman, the former cannabis activist/hippie dispensary owner in “Disjointed.” Her well-aged hippie costumes are a riot.